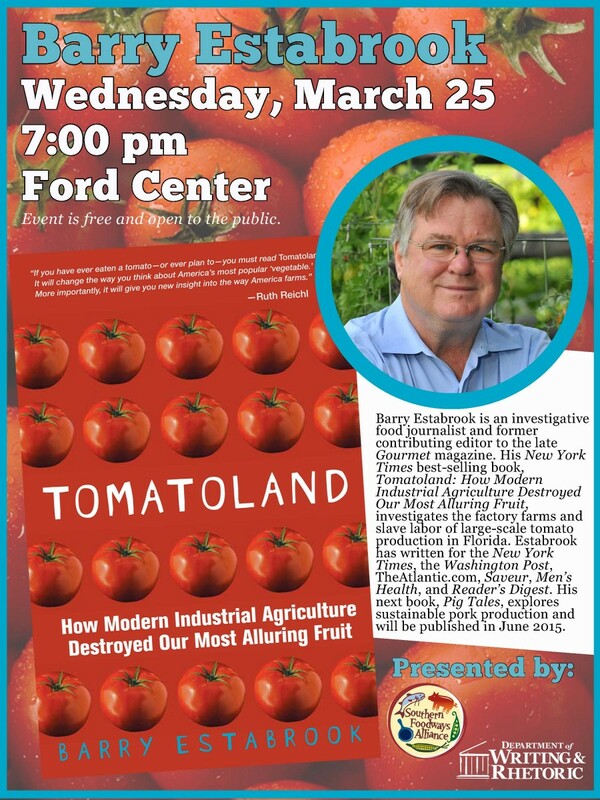 The Department of Writing and Rhetoric is pleased to partner with the Southern Foodways Alliance to bring Barry Estabrook to the University of Mississippi on Wednesday, March 25, 2015 at 7:00pm at the Ford Center. Barry Estabrook is an investigative food journalist and former contributing editor to the late Gourmet magazine. 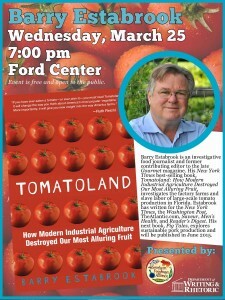 His New York Times best-selling book, Tomatoland: How Modern Industrial Agriculture Destroyed Our Most Alluring Fruit, investigates the factory farms and slave labor of large-scale tomato production in Florida. Estabrook has written for the New York Times, the Washington Post, TheAtlantic.com, Saveur, Men’s Health, and Reader’s Digest. His next book, Pig Tales, explores sustainable pork production and will be published in June 2015. This event is free and open to the public.